Mickey and Donald, Lori and Thor . 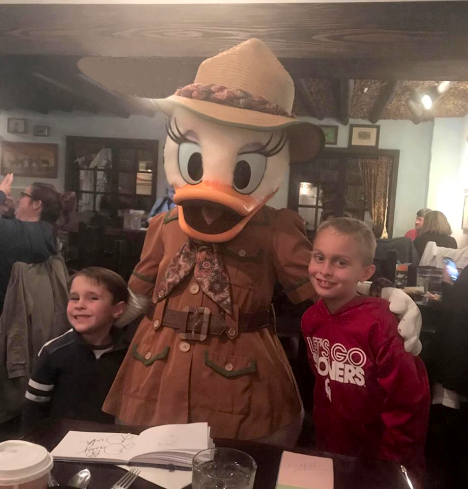 . .
Jan and her canine/feline companions are all settled in up in Katy, while Brandi, Lowell, and Landon, got picked up by the car service around 7am and were on their way to Disney World. 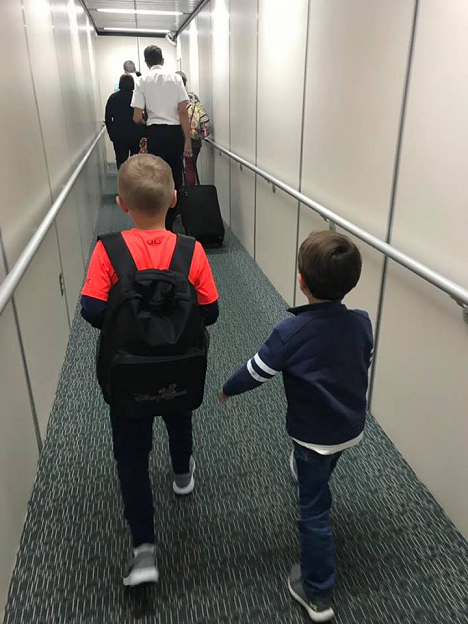 They arrived in Orlando about 11:30 and went straight to the park. That’s Landon on the left and Maddox on the right. Then it was on to the Animal Kingdom area and later dinner at the Tusker House Restaurant. On the subject of Florida, I came across this recent article in the Space Coast Daily about Florida Wonderland, later Tropical Wonderland, the amusement park where Jan and I met during the summer of 1967. 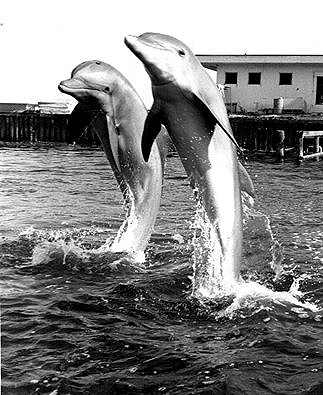 They even had a photo of Lori and Thor, the two porpoises that were in the shows I did 5 or 6 times a day. They performed together, but otherwise were kept separate because Thor, the larger male on the right, was a little too ‘randy’ and wouldn’t leave Lori alone. I’m not sure how accurate some of the other facts are, because, although they say the Marine Life Park area where I worked, closed in 1967, I’m pretty sure it was still open at least a year or so later when Jan and I came back down to visit. 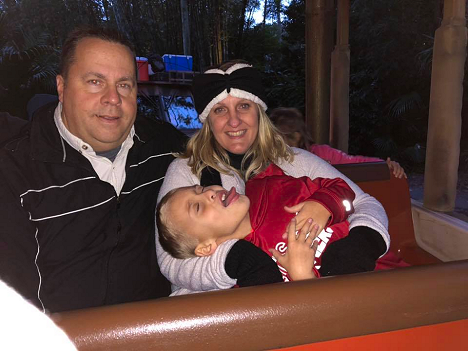 At the time I was there, we had Lori and Thor, two manatees, Bruce and Vivian, a 10 or 11 foot alligator, a large sea turtle, and some other small animals. Although the article mentions us having ‘rays’, we never had any while I was there. 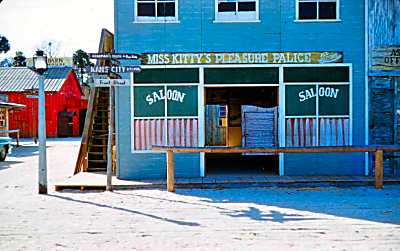 While I was working at the marine park, Jan was a saloon girl at Miss Kitty’s Pleasure Place in the western town across the street. When I started I was told that I would need to get ice at the saloon to keep the fish cold that I fed the animals. And the first time I walked in the place I saw this beautiful, long-legged redhead, and I’ve hardly let her out of my sight since then. That was over 51 years ago. Wrapping up the reminiscing, tomorrow morning, about 10, I’m meeting Miss Piper at the new Snooze breakfast place up in Webster. Looking forward to it. Why is it that so much of the stuff I find hilarious, I can’t post here. Or at least Jan won’t let me. If only you knew what you were missing.